On this pocket page, I have a variety of items from 1983 to share! 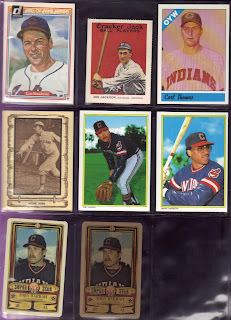 Next, I have a Dover Reprint of Joe Jackson on a Cracker Jack card. The Dover company had been creating books with perforated photos/cards for decades before these came along. For many collectors (like me and my friends), these books were a way for us to see and hold card that we nevr otherwise would have. Remember, in 1983, we didn't have the Web to show us everything! I could not find a checklist of which cards were included in the book. In 1983, TCMA/Fritsch produced a set of "OYW" cards - One-Year Winners. 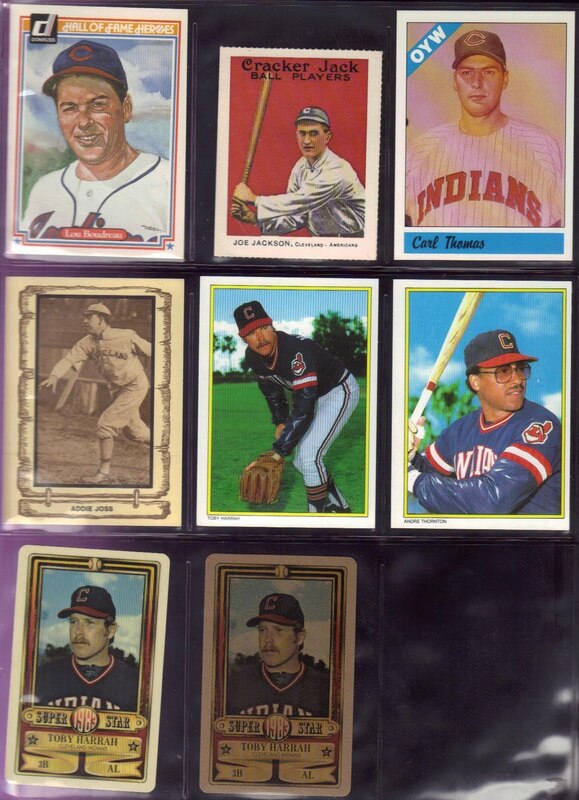 The cards in this year's set start at #55 since this was a continuation set. At the bottome of the post, I have included the checklist according to the Standard catalog, 2009. The next card will look familiar to folks that read a recent post about Cramer Sports Baseball Legends. If you recall, those were produced from 1980-1983. Addie Joss is featured on the only card from that year's set that I have. The checklist for the cards produced in 1983 will appear at the end of this post.